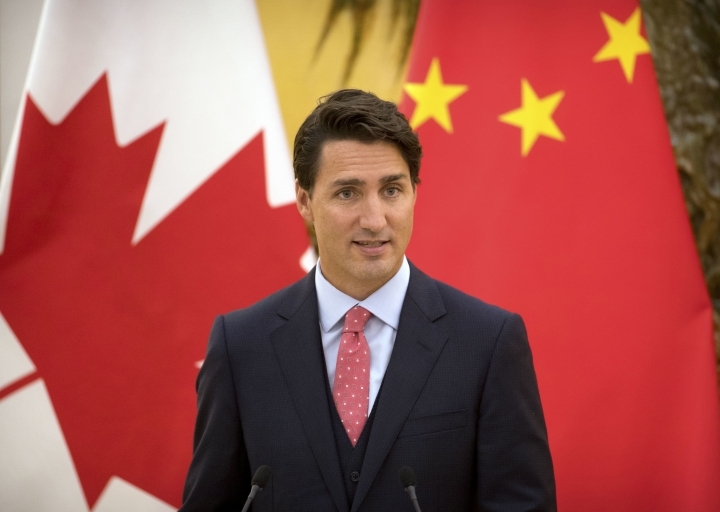 BEIJING — Canadian Prime Minister Justin Trudeau on Wednesday hailed a new era in relations with China during his first official visit to a key trading partner, saying he aims to boost "stability and regularity" in their ties. 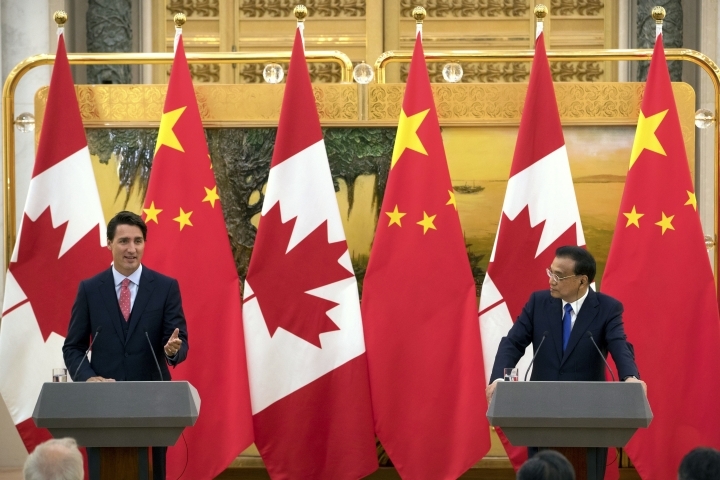 Trudeau and Chinese Premier Li Keqiang agreed to annual meetings and the eventual establishment of a mechanism to discuss national security and rule of law. Trudeau said they will work together to discuss issues of common concern, including climate change, judicial training, gender equality and empowerment of women and children. "Renewing our relationship with China is extremely important to Canada," Trudeau said at a joint news conference after his meeting with Li. 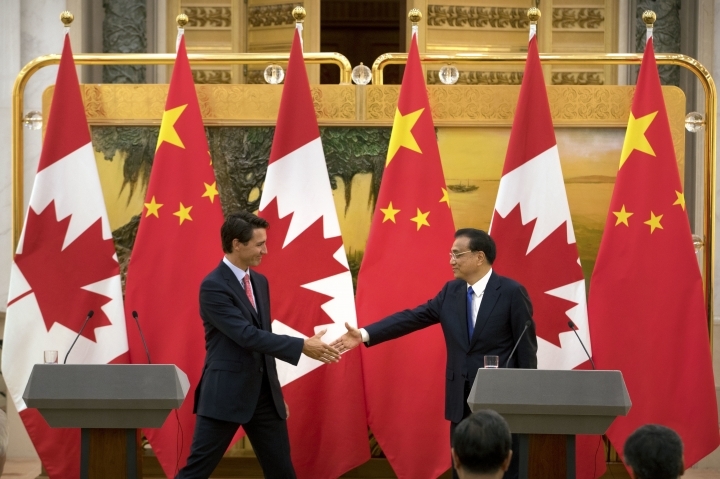 "Until now, the China-Canada relationship has somewhat lacked in stability and regularity." Separately, Canadian Finance Minister Bill Morneau announced that Canada will apply for membership in the China-backed Asian Infrastructure Investment Bank. The institution, launched last year, aims to boost China's influence in global finance, although the U.S. has yet to join and has questioned whether it will erode global lending standards. 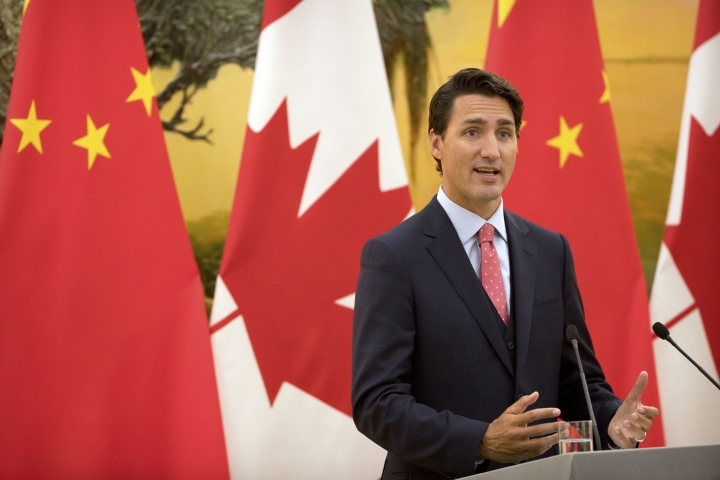 Trudeau and Li also announced an agreement to extend a Sept. 1 deadline that China had imposed on Canada to tighten its screening of canola exports, which had threatened to lead to major losses for Canadian farmers. China is the biggest foreign consumer of Canadian canola, which is usually refined into an edible oil, but Li said Chinese canola producers and consumers were worried about imported canola carrying disease. Trudeau said Canada and China were working "very closely toward a long-term solution in the coming days and weeks ahead." Trudeau benefits from the association with his father, former Canadian Prime Minister Pierre Trudeau, who in 1970 became one of the first Western leaders to establish diplomatic relations with Communist China. Trudeau's predecessor, Stephen Harper, had a chillier reception on his first visit to Beijing in 2009, three years into his term, when then-Premier Wen Jiabao publicly berated him for not visiting sooner. Justin Trudeau took office in November. Li also commented on the case of Kevin Garratt, a Canadian citizen who conducted Christian aid work in China for North Koreans and has been detained in China for two years over accusations of spying. 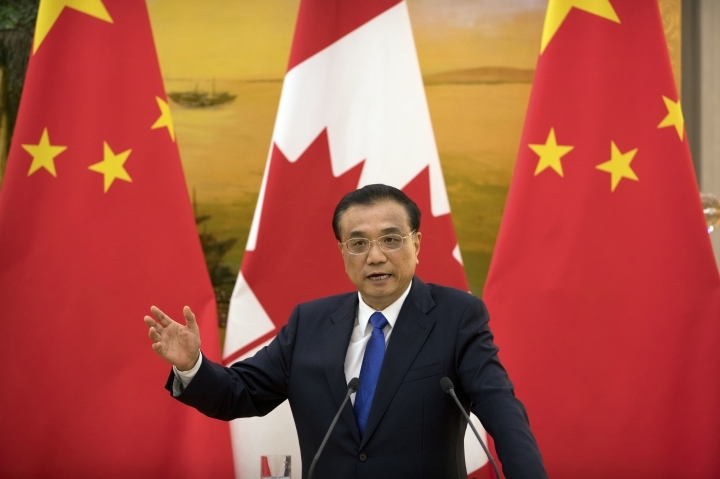 "China is a country under the rule of law, and judicial authorities in China will handle judicial cases in strict accordance with the law," Li said, adding that Garratt would be treated "in a humanitarian way" and allowed consular visits from Canadian diplomats. In response, the Garratt family said in a statement through their lawyer that they were "extremely frustrated" by a lack of progress in securing his release and enabling him to obtain "critically-needed medical treatment." "Kevin should be released to allow the two countries to move forward to develop stronger ties and cooperation on many levels," the statement said. Trudeau said the two leaders wanted to expand trade and investment in areas including energy, clean technology and agriculture, and to increase tourism and cultural cooperation. The pair oversaw the signing of deals, including a film co-production agreement. During his trip to China, Trudeau will also visit Shanghai and Hong Kong and attend the G-20 summit in Hangzhou on Sept. 4-5.